On September 7, 2014, the chairman of the John R. Elliott HERO Campaign for Designated Drivers, Bill Elliot, will be featured on NBC TV 40’s Forum 40. Robin Stoloff, of the NBC 40 staff, is the host of the show. Lt. Anthony DiSciascio, of the Somers Point Police Department’s traffic unit, and Al Nagbe, the Richard Stockton College of New Jersey HERO of the Year, will join Elliot on the show. 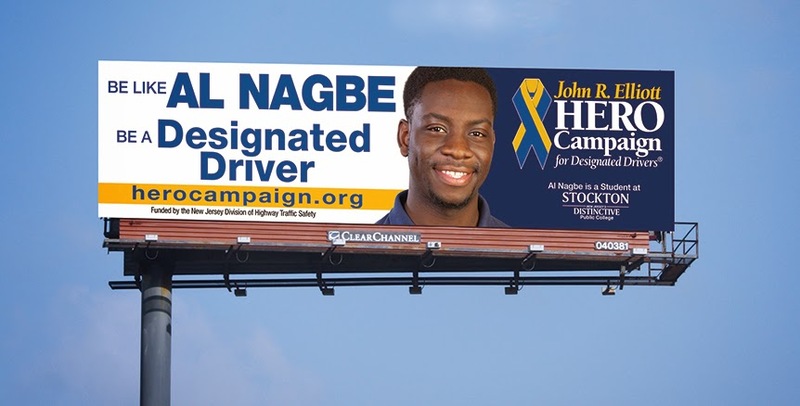 Nagbe was selected as HERO of the Year by his classmates based on his service as a HERO designated driver. His photograph is showcased on an Atlantic City Expressway billboard. He is a pre-med Stockton Senior and is from Egg Harbor Township. The HERO Campaign hopes to end drunk driving tragedies by promoting the use of sale and sober designated drivers. There is a headquarters located at Stockton College. The HERO Campaign is active in seven states. According to the National Highway Traffic Safety Administration, 33,561 people died in automobile accidents in 2012 in the United States including an estimated 10,322 people who died in drunk driving accidents, accounting for 31% of all traffic deaths that year. In New Jersey, 164 people died in alcohol-related crashes in 2012. For more information, visit www.herocampaign.org.